Classic lake-front Bed and Breakfast Inn. The Colony House Inn offers a true 4-season sportsman's paradise - sailing, fishing, cross country skiing & snowmobiling with endless views overlooking Lake Wesserunsett. A five star five room luxurious lakefront B&B located in Washington state. FOR SALE BY OWNER WITH POS. OWNER FINANCING. New price. Price slashed. Price lowered. New lower price. The Inn features 5 large guest rooms each with private bath, furnished with antiques and hand crafted quilts. Includes beautiful dining room, tavern and banquet area. A charming Berkshire Victorian 'cottage' B&B. The Inn features 15 guest rooms. Twelve in the 1882 main house and three larger rooms, including one suite in an adjacent Carriage House built in 2003. Featured: The Spruce Lodge - 15 Rooms OWNER FINANCING! 15 bedroom / 15 bathroom B&B in Colorado SKI COUNTRY. Successful, popular AND historic. 24 seat breakfast restaurant is open to the public daily. 13 years of documented financials. We are pleased to offer Farmers Guest House to a future innkeeper. With 9 guest rooms, comfortable owner’s quarters, and a killer location, this Galena IL B&B for sale is in the historic downtown, one block from Main Street. This Vermont boutique hotel for sale is the epitome of the concept Country Inn. In the first place it is in the country, at the end of a gravel road. The Inn sits on 160 acres of rolling meadows, stone walls, and mature woodlands, with views whose only limit is the imagination. Situated on a sprawling 12+ acres, this expansive farm-like Bed & Breakfast provides four-season accommodations for the true outdoor lover. Seven bedrooms with private baths, large event barn, and close proximity to Sugarloaf Mountain make this property a gem! UPDATED LISTING: The award winning Inn at Silver Maple Farm features 11 guest rooms and a separate 2 bedroom, 3 bathroom house for the owners. Located in desirable Columbia County just 5 miles outside of expensive Berkshire County - the best of both worlds! For sale by owner - turnkey. Location is key and the Globe Inn is a short drive from Valley Forge, Bucks County and other Greater Philadelphia destinations. 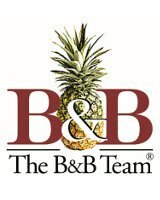 B&B and extended-stay guests generate lodging sales of $300,000. A fully licensed bar and commercial kitchen offer many possibilities for additional business! Ever wonder what it would be like to run an idyllic Inn in a quintessential Vermont Village? If the answer is yes, this offering is the opportunity for you to do so. This 10 room Inn is centrally located on the Monticello Wine Trail and the “Brew Ridge Parkway” as well as near the Appalachian Trail and Wintergreen Ski & Golf Resort. The University of Virginia Charlottesville is 36 minutes away. CATSKILL MOUNTAINS TURN KEY BED AND BREAKFAST!! 5,000 sq.ft. fully furnished Victorian home in Colorado Ski Country. 7 bedrooms, 7 bathrooms PLUS a large owner's quarters with private entry. 3.8 acres bordering National Forest. The Herbert Grand Hotel is located in the historic town of Kingfield, Maine which serves as the gateway to the Sugarloaf Mountain ski resort. NEW PRICE! MAJOR PRICE DROP! VICTORIAN MANSION B&B,PERFECTLY RESTORED, READY FOR NEXT INNKEEPER IN BURGEONING HUNTER MTN. Award winning and well established, fully furnished, TURN KEY business operating as a B&B for sale. Old-world flair B&B, in the heart of the Catskill Mtns. overlooks the ski slopes of famous Belleayre Mountain, renowned for skiing, concerts, festivals, sky rides, and 4-season activities. Beautifully restored home that has been used as a bed and breakfast by current owners since 2004. Four well appointed master guests suits tastefully decorated and ready for occupancy. First floor holds a chef's kitchen with commercial range, living room, dining room, entry and owners quarters. Located in Ouray, Colorado "Switzerland of America" Beautiful hotel property in a perfect location for a quiet getaway! Yet only 1 block from Main Street. Take a short walk and sit atop a rooftop while you enjoy a cold drink and watch the bustle below as folks meander through shoppes and eateries. Ready for a change? Own this beautifully maintained B&B that offers 4 rooms with their own baths and a private innkeeper quarters in quaint town of Lanesboro and close to Rochester, La Crosse and Winona. A great tourist location! 1859 Greek Revival fully operating B & B built by Jeremiah Mason, a prominent 19th century banker and Maine legislator. This remarkable Inn has 10 guest rooms with private bathrooms in the Main house, and 3 apartments in the carriage house capable of generating +/- $1800 monthly. Historic lodging along the former cattle drive road that is now Hwy 88 in the Eastern Sierras. The Black Station Inn has a 4-bedroom lodge/cabin just 35 miles from Kirkwood Ski Resort. The Black Station Inn is also a full restaurant and lounge. A coveted type 47 liquor license is included. This property was used in the 1950's as a bed and breakfast. It does need a complete remodel in the lodge and the existing 5 bedroom home has tons of character and charm. Willow Glen Inn and Event Center is a rustic B&B with 7 unique units, all with private baths in two separate buildings. This beautiful 9.5 acre property is surrounded by mature trees that create an oasis filled with landscaped yards, gardens, trails, a reception center and outdoor theater. Historic 9 room full service country inn situated on .36 acres in the heart of the Mt. Snow area in Southern Vermont. Built in 1885, the inn is listed on the National Register of Historic Places, has been very well maintained and has been welcoming guests for the last 60 years. Beautiful Victorian 10 bed 10.5 bath B&B in downtown Winter Park, Colorado for sale. Minutes away from world class skiing at Winter Park Resort, MaryJane, Devil's Thumb and Snow Mountain Ranch. Walking distance to shops, restaurants and fitness facilities. Beautiful 1860 farmhouse situated between the Green and Adirondack Mountains in Addison County, Vermont. The property also has a large barn on 3 acres of land. Casa Bella Inn & Restaurant is a full service Vermont quintessential country Inn. Circa 1835, registered as a State Historical building, it sits on 3.15+/- beautiful acres. The 8 bedrooms, all with private en suite bathrooms, are large and furnished with quilts, antiques and rocking chairs. TURN-KEY! Unique opportunity to run a working Bed & Breakfast Inn AND successful Fine Dining Restaurant business near 11,400-acre Lake Greenwood, in the beautiful upstate area of South Carolina. Rare opportunity to own a true Breckenridge icon. The Fireside Bed & Breakfast and Hostel with 9 rooms. Located in the Historic district of Breckenridge Colorado. Minutes from Gondola and mountain bike routes. High Peaks Paradise, a professionally maintained thirteen room Inn with three additional cottages located in the heart of the Adirondack High Peaks. You too can WAKE-UP SOMEWHERE SPECIAL! We are located on the CDA River w/150ft river frontage,35 minutes drive from Coeur d'alene, 45 min. drive from Spokane. 5 miles up river from I90 Kingston exit 43....very pleasant drive. We enjoyed a successful/wonderful Bed & Breakfast. Bed and Breakfast located in central Vermont bordering Green Mountain National Forest. Minutes away from Killington & Pico ski resorts, mountain bike trails and Green Mountain National Golf course. Located in York PA in the quaint village of Emigsville. Skillfully restored 19th century mansion with exquisite must see features. The Victorian elegance of the porch overlooks a picturesque vintage pond and is accentuated by more than an acre of beautifully landscaped grounds. 7000 sq ft building is a lifestyle B&B w/ 5 guest suites plus owners quarters plus a general store/ house concert venue in small village setting. Turnkey Opportunity. Bed & Breakfast in desirable tourist area with small public restaurant. Close to 4 ski mountains. Vermont Country Store, Weston Playhouse, Weston Priory, Kinhaven Music School all within 2 miles. Large owner's apartment, 7.5 acres of land with a pond. Located less than 1.5 hrs from DC/Baltimore/Pittsburgh we offer a B&B as well as a renovated solar powered log home built in 1897 and a newly built events barn built as it would have been in 1800's. Stunning 100 acres both wooded and with open spaces and a pond. One of a kind! Chalet - type B&B in Croatian mountains, awarded Certificate of Excellence 2016 & 2015 and Traveller's Choice 2015. 5 rooms and an inn on 10.000 sqm of land, ideal for development projects. Restored and renovated 1865 Historic Hotel, 6700 Square Feet, 13 bedrooms, 8 bathrooms, Family suites, fireplace suites, innkeepers quarters,27+acres, pond, orchard, Little Loyalsock Creek runs through property. NearRickett's Glen State Park and World's End State Park. Year 'round, furnished, 3-story country lodge. Unique property in the heart of the Pocono Mts. for your entire group of 14-22. No other house like it. Not a B & B but would be ideal. Zoned C1. Near a main road yet on a quiet street. Also ideal for offices, daycare/hospice facility, employee housing. State College area B & B. Close to Penn State. Turn key operation. Positive cash flow and upside potential. Trombley Real Estate at 814-861-3000.